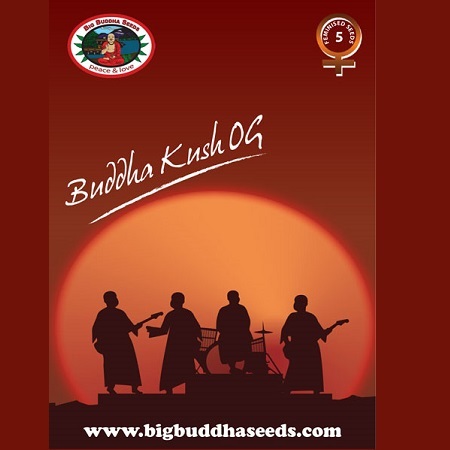 Buddha Kush OG Feminised by Big Buddha Seeds is a high quality cannabis strain that is well known for offering a number of desirable growing traits. Perfect for growing weed indoors or outdoors, these highly versatile marijuana seeds have a flowering time of 65 to 75 days and will allow you to enjoy a hard hitting sensory experience like no other! Inducing a pungent, pint and potent super Kush smell, these seeds also produce a strong, spicy classic OG Kush taste. Buddha Kush OG Feminised by Big Buddha Seeds. Our friendly and helpful team is always on hand to answer any of your questions about our weed seed banks – get in touch!